What is the sum of these? 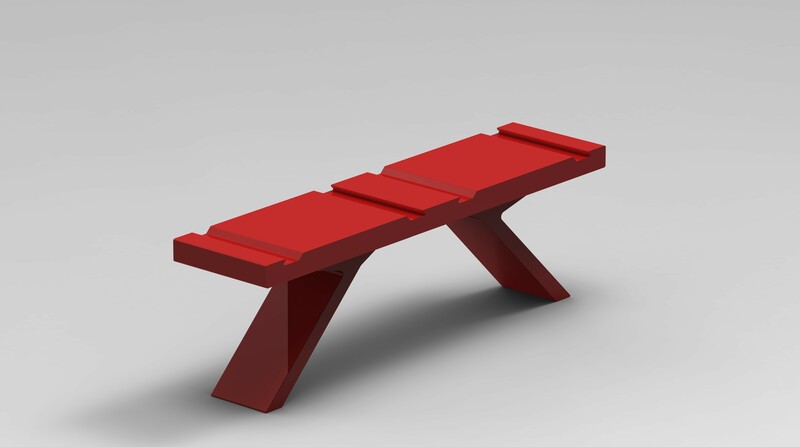 Bridge-ing is all at once a shelf, a table and a bench. The modules are dynamic. Bridge-ing is not just a table. 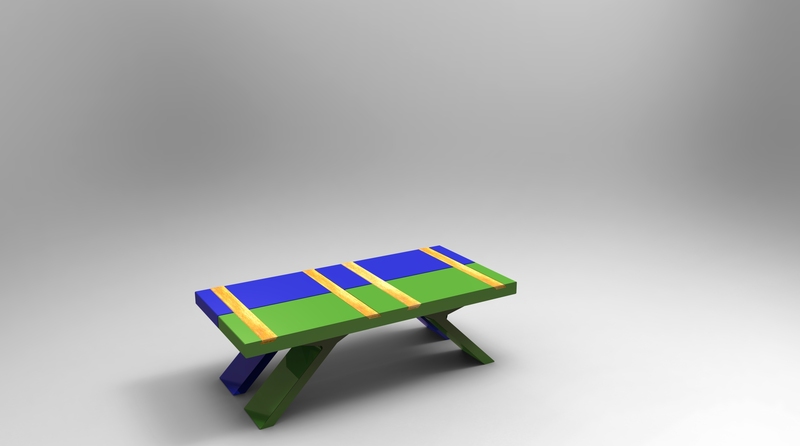 The tables can be stacked to form shelves. 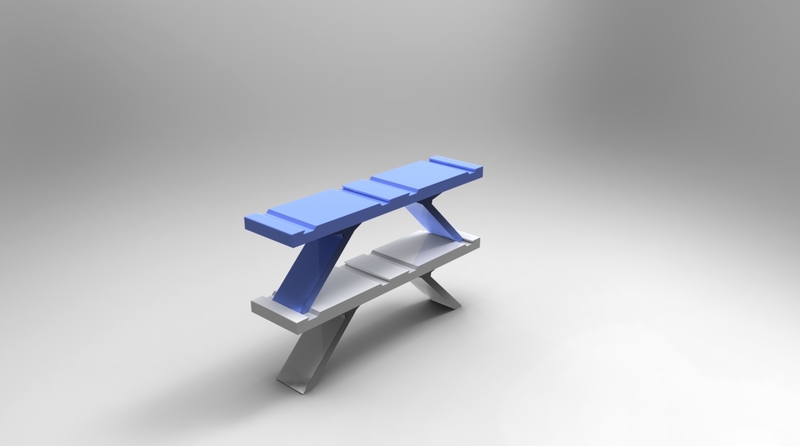 Bridging is also a bench. You can pull a book from the shelf and take a seat on the shelf and leaf through the book. Bridge-ing is a nod to all the bridges I have crossed, by foot, bicycle, driven or flown over. Bridges are a functional structure and get you from one place to another without too much trouble. It hasn‘t always been so though. Earlier bridges were structures for buildings and getting together. The best example of that would be the Ponte Vecchio bridge in Florence, Italy. Bridge-ing is thus a meeting place – bridge-ing the gap between people, places and objects.The shape was inspired by a bridge very dear to me – a bridge on Bústaðarvegur, a street in Reykjavík. The technique we worked with is rotation moulding that is used to create hollow plastics. 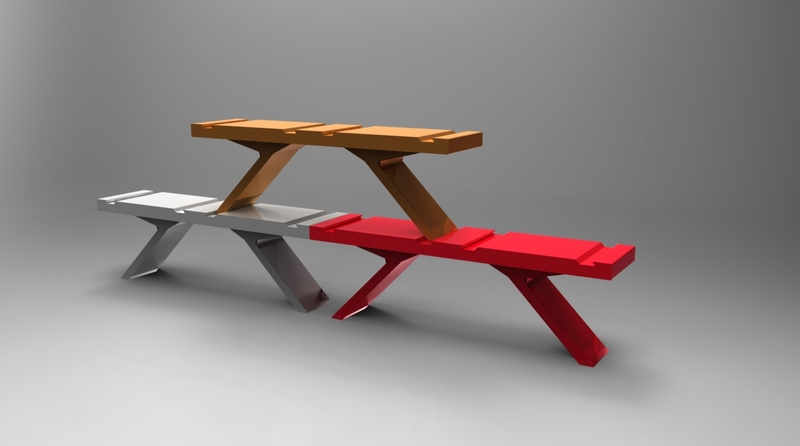 Bridging is light multi-purpose modular furniture.